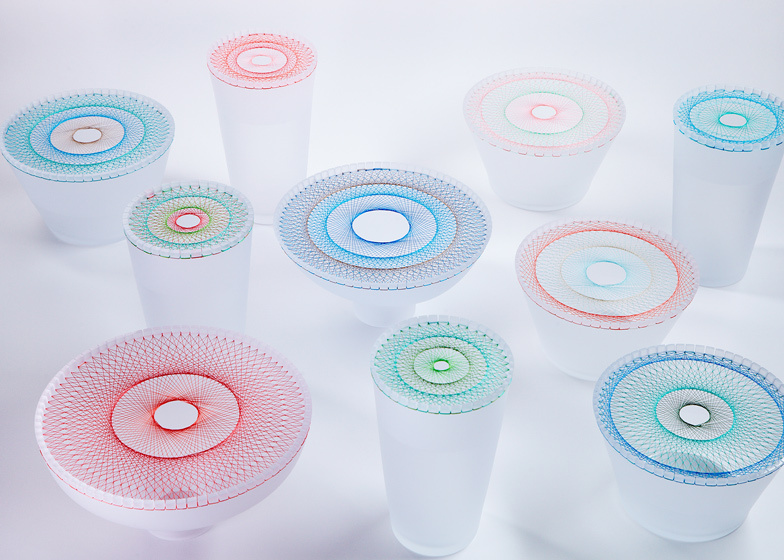 Milan 2014: Japanese designer Jun Murakoshi's tableware features patterned thread tops that create a geometric lattice for supporting flowers. Tokyo-based Jun Murakoshi has created a collection of vases and fruit bowls called Bloom. 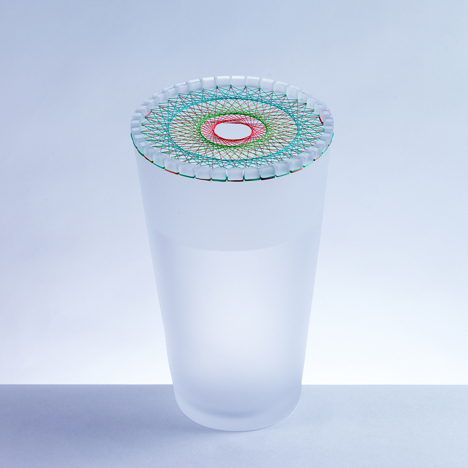 The blown-glass tableware pieces feature small grooves on their edges, which allow thread to be criss-crossed over the tops in a geometric pattern. "Blown glass has a feeling of both warmth and tension that looks like conflicting image," said the designer. 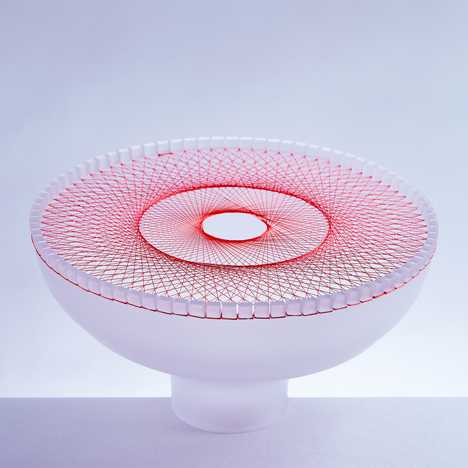 The glass was hand-blown by three young glass artists: Shunji Sasaki, Takeyoshi Mitsui and Emi Hirose in Toyama, Japan. "The narrow lines create unlimited patterns, the transparency and exquisiteness that each materials possess make foil each other," said the designer. Flower stems can be threaded through the small gaps between the strings or rested in the larger hole in the centre of each piece. Different coloured threads are used in combination to creating variations in the rings across the tops of the pieces, which are available in a range of sizes. The tableware was exhibited in the Ventura Lambrate district of Milan last week. Photography is by Kota Sugawara.